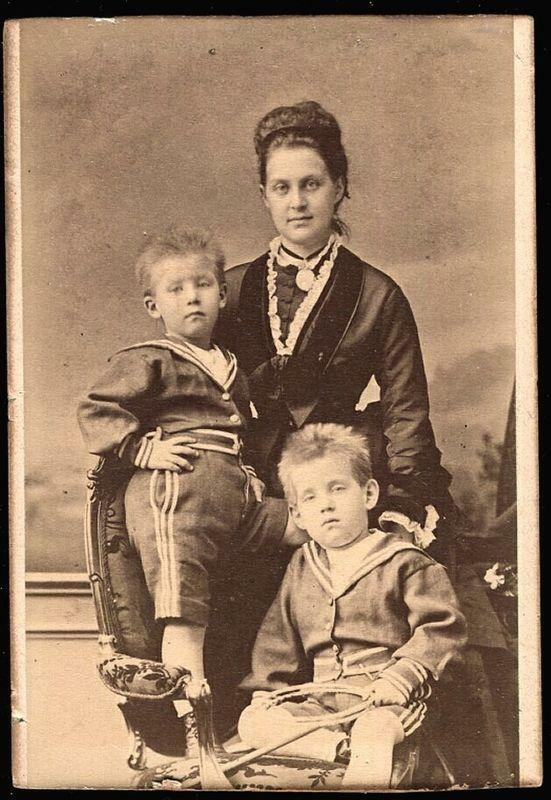 This item is a CDV picturing Queen Olga Konstantinovna of Russia (and Greece) and (two of her children Konstantin & George). The photo was taken by L. & V. Angerer, photographers who were noted for photos taken of Olga Konstantinovna and many others. 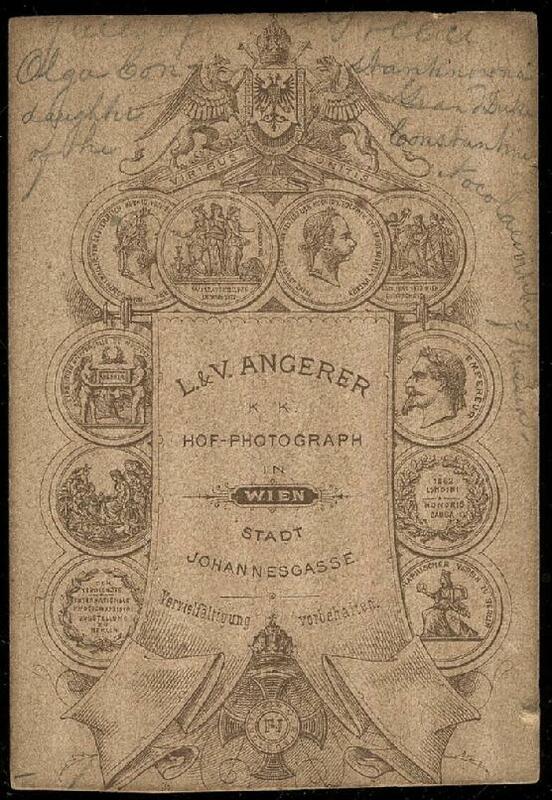 Ludvig Angerer was credited with introducing the CDV to Vienna in 1857. 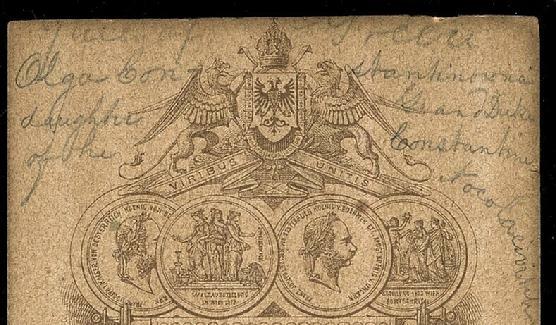 The back of the cdv has pencil-written notations identifying Olga Konstantinovna. NOTE: The borders at the top and bottom of the CDV have been cut. The photographic area is in very good condition.